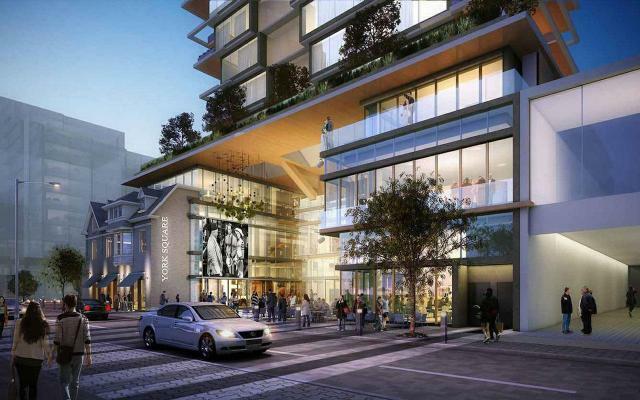 33 Avenue Road Condos is a new pre-construction condo project located at 33 Avenue Road, Avenue Road & Bloor Street In Midtown Toronto, Develop by Empire Communities . The project will have 40 storeys, and a total of 330 units. 33 Avenue Road Condos Walk Score of 99 out of 100. The Transit Score 100 out 100. 33 Avenue Road Condos is only three minute walk distance to the BAY STATION Subway station. 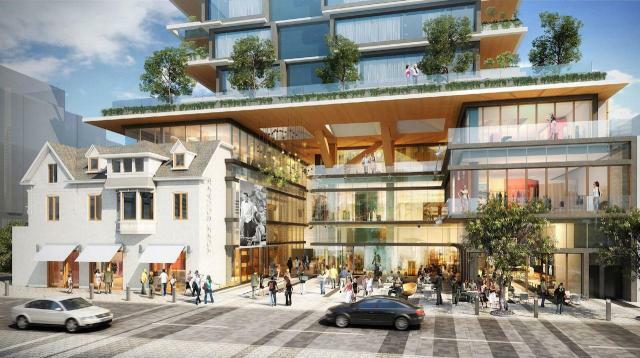 Toronto’s Yorkville neighbourhood could become the site of the city’s first ‘vertical forest.’ New renderings for the long-awaited 33 Avenue Road project bring to light a new design aesthetic for the project, with plantings along the east and west elevations of the tower. The latest renderings of the Zeidler Partnership Architects and Richmond Architects design also reveal a more sensitive treatment of the ground level, with greater nuance applied to preserving the area’s intimate character. Over the last four years, the Empire Communities and Greybrook Capital development has gradually evolved from a more monolithic tower—which would have replaced the properties currently on the site with a large, blocky podium—to a design that respects Yorkville’s street-level ambiance. In the years since the project was first proposed, preservation of the now heritage-designated—as of late 2014—property at 33 Avenue Road (above) emerged as a City priority for the site. The public space fronting Yorkville Avenue—and the restored 33 Avenue property—is now more clearly framed by below the 30-storey tower, which rises above a simple wood-toned plateau. A refined delineation between the tower and the ground level allows the high-rise tower to make an impact on the area skyline without compromising the streetscape, with the space of the existing York Square reconfigured into a more prominent piaza. Along the tower levels, however, the ambitious landscaping program could garner the lion’s share of the excitement surrounding the project. Adapting the innovative ‘green’ skyscraper model, renderings for 33 Avenue see a more subdued—and presumably winter-friendly—iteration of this design aesthetic. Though the plantings only appear on the east and west elevations, an infusion of greenery would likely make the tower a highly recognizable presence in the area skyline. While the exact nature of the landscaping program—including what kind of plantings will be used—is not yet known, more information is likely to become available in the near future. Mycondopro will keep you updated as further details of the project take shape. 33 Avenue Road Condo is in the Annex neighborhood in Toronto. Nearby parks include Jesse Ketchum Park, Taddle Creek Park and Trinity College Field.